The signal from the spacecraft is gone, and so will be the spacecraft in the next 45 seconds. 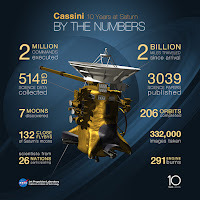 This has been an incredible mission, an incredible spacecraft, and you're all an incredible team. I'm going to call this the end of mission.... Thank you, Cassini, and farewell.